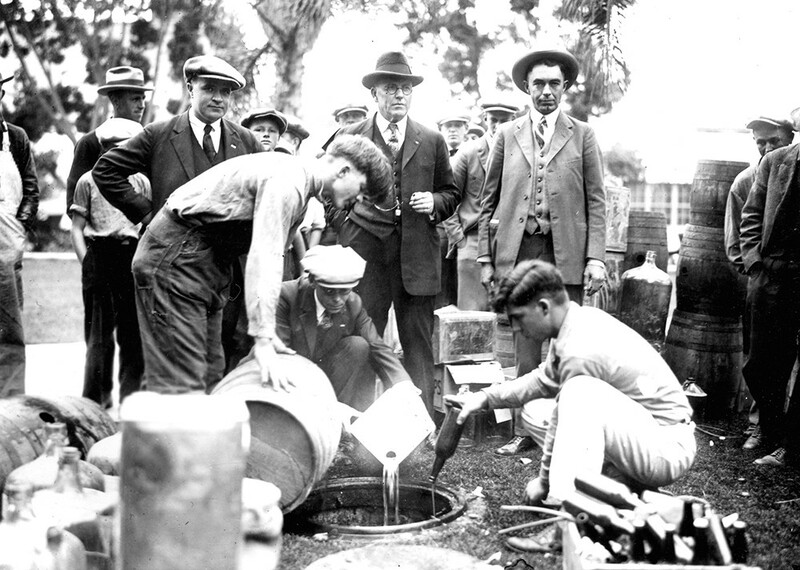 Since Prohibition, booze has reigned supreme, but is that changing? Comedian W.C. Fields famously described Prohibition as a time during which he once was "forced to live for days on nothing but food and water." Alcohol, of course, has since evolved into a true "opiate of the masses," a staple of the American diet, but new evidence suggests that marijuana, in states where it is legal, is poaching drinkers of the country's most widely consumed alcoholic beverage. A report by the Cannabiz Consumer Group (C2G) found that more than a quarter of the 40,000 people surveyed are already substituting bud (or would if they lived in weed-friendly territory) for beer. Overall beer sales dipped in 2015, and the C2G study predicts that cannabis could eventually "canna-balize" 7.1 percent of its current retail market revenues (resulting in a drop of more than $2 billion in beer sales). The bad news for brew comes on the heels of findings late last year by Cowen and Company, an investment banking research firm, that revealed beer markets in Colorado, Oregon and Washington (all three states have legalized recreational marijuana) had "collectively underperformed" in 2016. Sales of Coors Light and Bud Light, for example, tumbled 4.4 percent. The study points the finger of blame at the growing popularity of cannabis. But would it be such a tragedy if fewer Americans chose tippling over toking? According to the Centers for Disease Control and Prevention, deaths from alcohol-induced causes have reached a 35-year high. Where's the outrage? Why aren't the congregants of the Cathedral of Our Lady of Lourdes protesting the many bars of Spokane's West End, instead of Lucky Leaf? The mythos of alcohol is so woven into American tradition and ritual, it's hard to imagine the drug falling out of favor. Occasional bouts of drunkenness, as noted by journalist (and drinker) Lawrence Osborne, are, in a way, humanizing. Even the hangover, he argues, has value. "It is slow, meditative; it inclines us to introspection and clarity," writes Osborne. "It enables one to seize one's mind anew, to build it up again and regain some kind of eccentric courage."